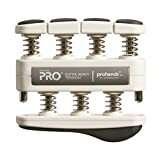 Only the patented PRO (by Gripmaster) isolates and strengthens each finger individually to develop maximum power, dexterity and endurance. 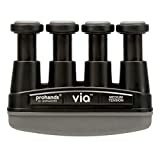 Stronger, faster fingers for musical excellence -- no matter what instrument you play, VIA Handgrip will greatly improve your strength, speed and dexterity while maintaining the health and well-being of your hands. The patented dynamax Pro Trainer is ergonomically designed to maximize core resistance and to increase upper body strength through isometric exercise. The Pro Trainer gyro creates over 22lbs of resistance at around 8, RPM. The Pro Trainer was designed for military Forces, SWAT, police depts., fire dents., and professional sports teams. The ULTIMATE Callus Building Tool The #1 reason new guitar players quit playing is finger soreness. We all lead busy lives and don't always have the luxury of quality practice time to keep our calluses tough. The Ruff Grip was specially designed for guitar players and string musicians to help keep fingers tough and conditioned anywhere, anytime. Lightweight, Inexpensive and Nearly Indestructable! The Ruff Grip was designed to step in for your instrument when you don't have the time to play. It tricks your fingers into thinking you are getting quality practice time! Each unit is meticulously created to comfortably fit into your hand. Simply press your fingertips agains the Ruff Grip molded "Strings" and you will instantly realize how powerful this little tool can be! The Platinum power ball delivers up to 38 pounds of silky-smooth dynamic resistance in the palm of your hands. But what makes this new dynaflex offering so unique and appealing is the impressive light show it produces! 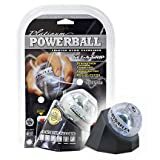 the Platinum power ball incorporates six, incredibly intense white neon LED's that put on a dazzling display when activated. The faster the gyro spins, the brighter the LED array. In a matter of seconds, your entire hand is fully engulfed in an Envelope of light. Whether you want to take your game to the next level, need to recover from a hand or arm injury, or simply want to sculpt, shape and tone your body - the dynaflex lineup of gyros are ideal for anybody at any age! the Platinum power ball is so small, it fits anywhere... yet so powerful, people see and feel results in just minutes a day. 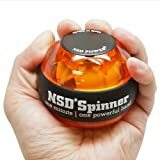 The patented Platinum power ball exerciser reaches up to 13, rims and creates up to 38 pounds of dynamic resistance to increase grip strength, range of motion, and to condition arm, elbow, and shoulder muscles. Plus, the Platinum power ball comes with its own power dock Docking Station. 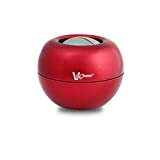 Simply place any power ball into the power dock, press the Red button at the top and the gyro immediately engages. In a matter of seconds, the gyro is spinning up to speed and ready for use. Most of all, Smith adds, the Platinum power ball is just Plain fun to use. Our weighted training club combines the essentials of a proper grip and the feel of a full motion swing. Great for a complete warm-up. Promotes proper muscle memory and helps improve your swing plane. Great gift idea for any level of golfer. Izzo Golf Swing & Grip Trainer Features ? The perfect training aid to perfect your grip position, swing tempo and timing. ? Great for backyard training sessions ? Helps build golf muscles ? Improves a golfer's swing plane ? 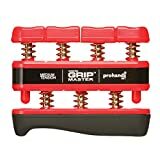 Pre-formed grip provides the correct hand position ? For right-handed golfers only If you have any questions about this product or would like to order by phone, please call us Toll Free at 888-733-8383. We look forward to hearing from you!